Need the perfect gift for friends & family? Get a Quote – to start we need to get some information about you on our system. 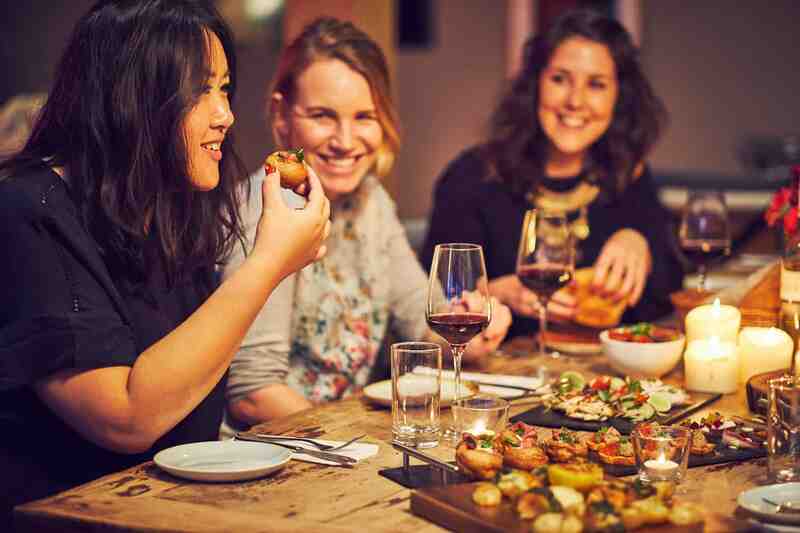 We’re aware that you’ll probably be unsure of any of the details so just put in a random date, number of heads and location then choose a menu that roughly meets the type of experience you’d like. Press the ‘Book Now’ Button Under Your Quote – once you have your quote, beneath, you’ll see a ‘Book Now’ button. Press this to go to the payment page. Choose to Pay £60 Deposit – at the top of the page you’ll see the option to pay in full or just pay a £60 deposit. Choose the latter option and then enter your payment details. Enter the Offer Code ‘GIFT’ – just above the ‘Confirm & Pay’ button at the bottom of the payment page you’ll see a small drop down arrow. Press this and enter the offer code GIFT. Our system will then note that the number of heads, date, location and menu you’ve chosen are all just preliminary and flexible to change at any stage. Print Off Your Gift Voucher – Next, within 48 hours, a member of our team will email you a Gift Voucher so you have something physical to give to the receiver. 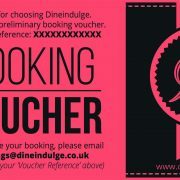 At this stage there is just a £60 deposit placed against the gift voucher but you can add more credit to the voucher at any point by contacting us on bookings@dineindulge.co.uk and by stating the reference code on the voucher. Alternatively, you can wait until the receiver is ready to redeem their gift, confirming the details of the private chef experience they want to book and then pay whatever contribution you would like towards their final booking. 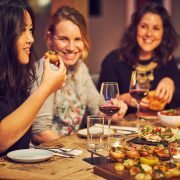 For now the preliminary booking will be under your name but the receiver can use their voucher to redeem the gift and change it into their name by contacting bookings@dineindulge.co.uk and by stating the reference code on the voucher. Alternatively, you can remain in control of the booking and organisation of it for them. Finally, we just ask that the you or the receiver give our team a minimum of 14 days notice before the date you wish to confirm including final choice of menu, numbers and location.